Delicate lip tissue is prone to dryness and aging. 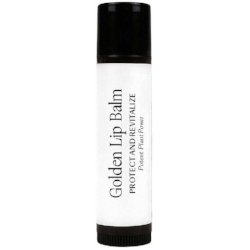 A good lip balm has a high-nutrient formulation that richly nourishes, protects and prevents aging in lip tissue. A good lip balm can also keep your lips smoother, softer, fuller and rosier. (Did you know that you can apply most of your other skin care products to your lips, too? Lips benefit from occasional exfoliation, as well as being included in your hydrating masque, hydrating mist, serum, moisturizer and facial oil applications. Finish with a good lip balm and you’ve provided your lips with far-reaching benefits. Don’t be surprised if your lips start looking more rosy, soft, smooth and plump.) For best results, apply your lip balm daily and nightly after applying moisturizer, and re-apply as needed. Lipstick or lip gloss may be applied over the top as desired.